6 Month Braces is a revolutionary orthodontic service for adults who have, until now, felt like they would need to wait 2 years with fixed braces. Until now, if you had crooked teeth, there was a choice between Porcelain Veneers and traditional long-term braces (orthodontics).Traditional long-term adult orthodontics may take one to two years, or even more in some cases, to straighten all your teeth. Understandably, many adults simply don’t want to wear braces for that long. However, traditional braces still have their place.Six Month Smiles Adult Braces is an easy choice to make compared to the two previous alternatives in many cases. You may remember the “train track metal mouth” look from years ago. 6 Month Braces uses tooth-colored (white) brackets and wires. They’re Invisible Braces! Six Month Smiles Braces are appropriate for correcting spaces, gaps, crooked, or crowded teeth. If the teeth that show in your smile aren’t straight, 6 Month Braces may be the perfect solution for you. 6 Month Braces are very similar to conventional adult orthodontics as it pertains to brackets and wires being used. The mechanism of moving the teeth is the same. The difference between Six Month Smiles Invisible Braces and conventional braces is the focus of the treatment. With 6 Month Smiles, the focus is only on the teeth that show in your smile. The goal of 6 Month Braces is to give you a smile you can be proud of in a reasonable amount of time. It addresses the cosmetic issues of orthodontics. Most people have no trouble chewing. Their teeth function well, and their bites work fine. Six Month Braces can be finished more quickly than traditional braces because the focus is not on changing your bite. Traditional long term adult orthodontics go beyond that, to perfecting your bite in your back teeth. Will It Really Take Only 6 Months ? Most Six Month Braces cases will take about 6 months. Some may take less. A few may take more than 6 months. A “long” case may take up to 9 months to achieve the goals. The vast majority of cases take 6 months. 6 Month Braces uses very light and safe forces to move teeth at the same rate as traditional braces. The teeth are not being moved faster. The difference between Six Month Braces and traditional braces is that the treatment is completed sooner. Your front teeth (that show when you smile) move faster than your back teeth. Traditional braces take longer because there is an additional goal of perfecting the bite in your back teeth. 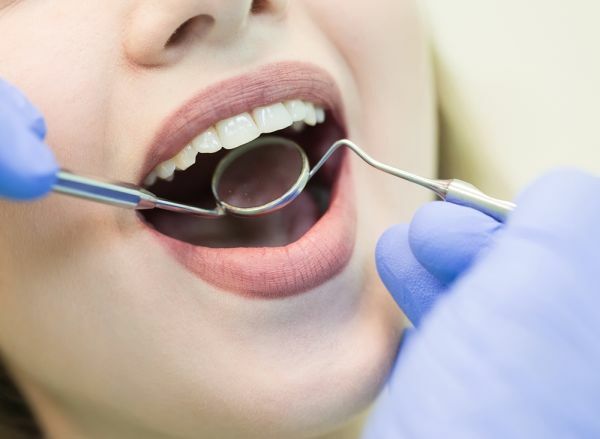 6 Month Braces is not concerned with perfecting the bite in your back teeth, so the treatment stops once the front teeth are positioned in a cosmetically pleasing arrangement. So, the rate of tooth movement is the same, but the total treatment time is faster – about 6 months.